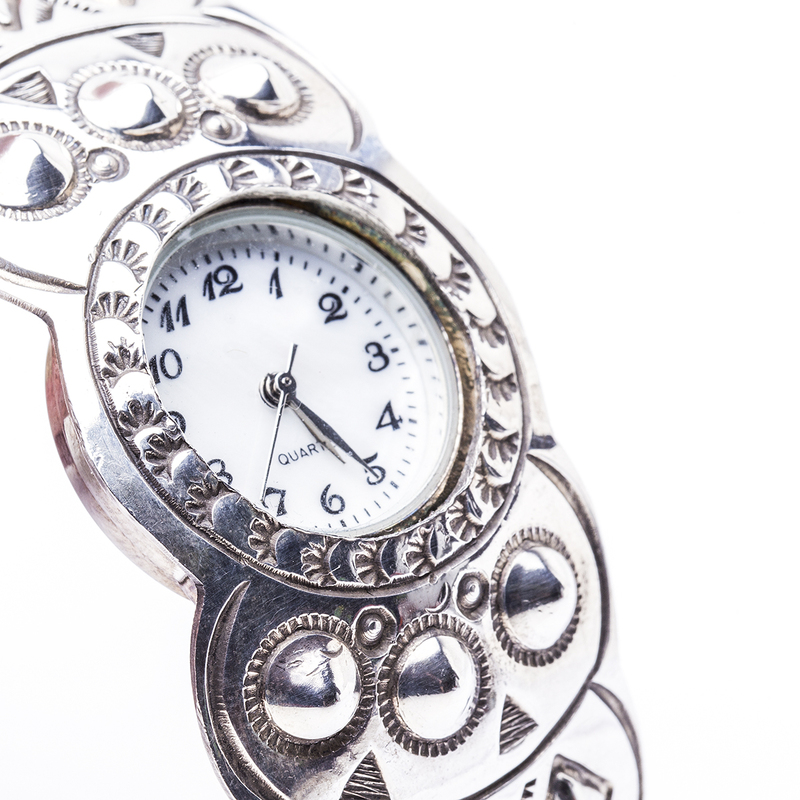 Here is an edgy, yet practical way to keep time. 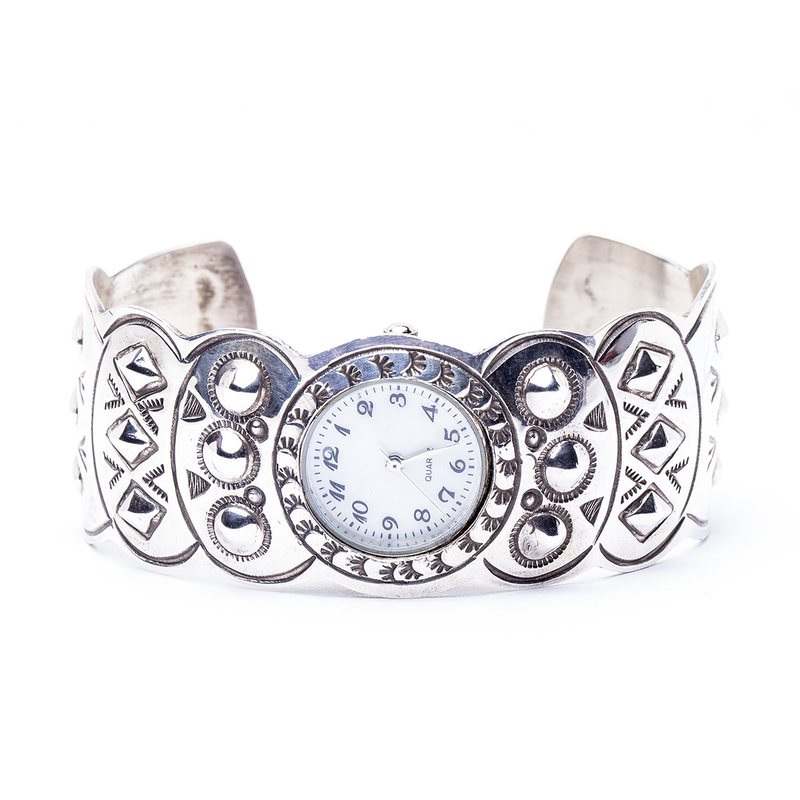 This watch cuff has three rows of Sterling Silver studs and geometric designs. 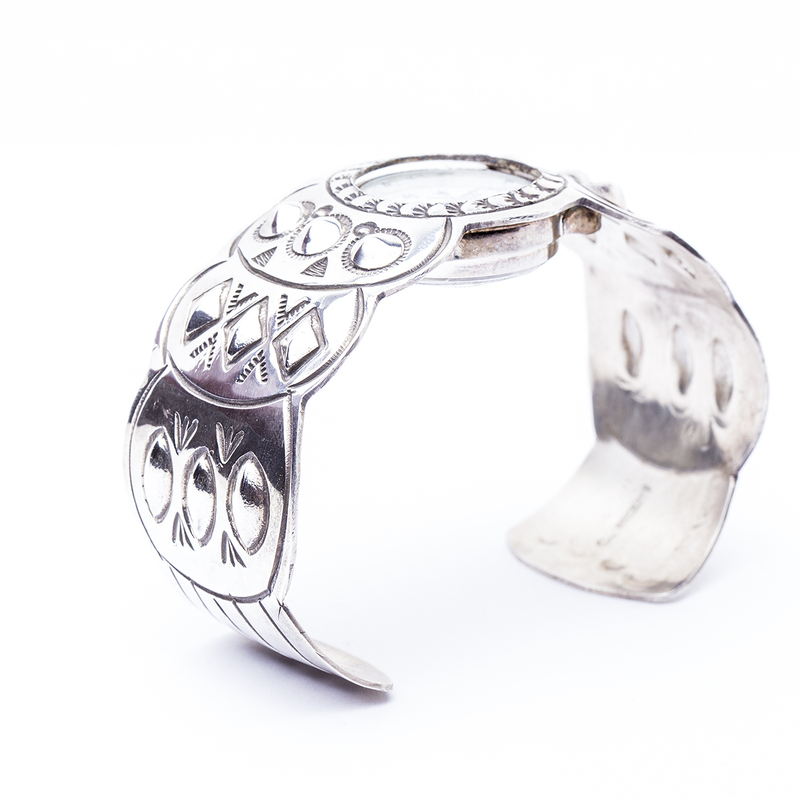 Comes with a quartz battery. We can size this for you. 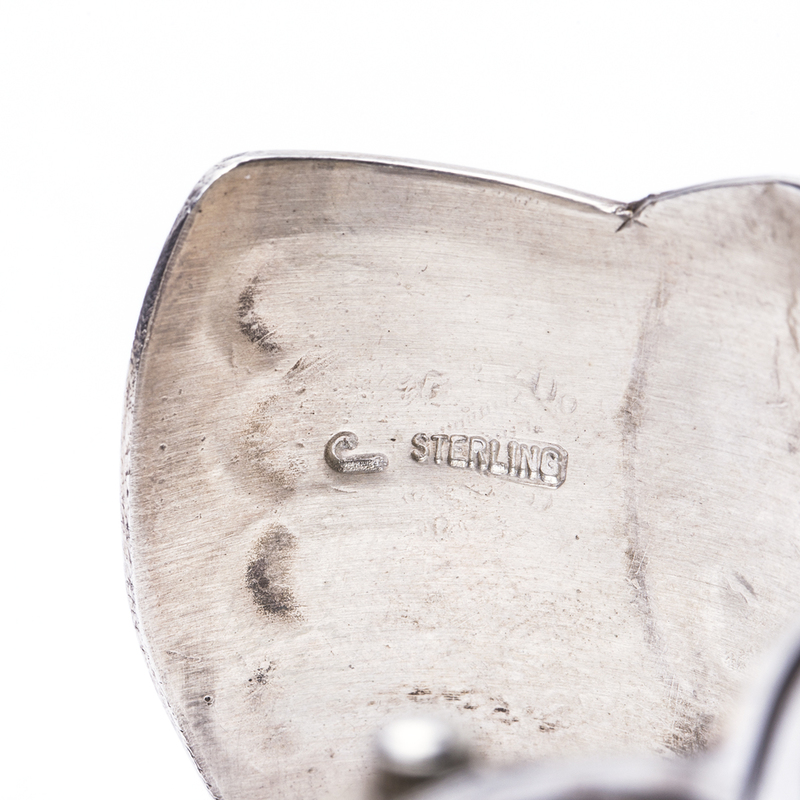 It is hallmarked on the inner cuff “J” and “Sterling”. 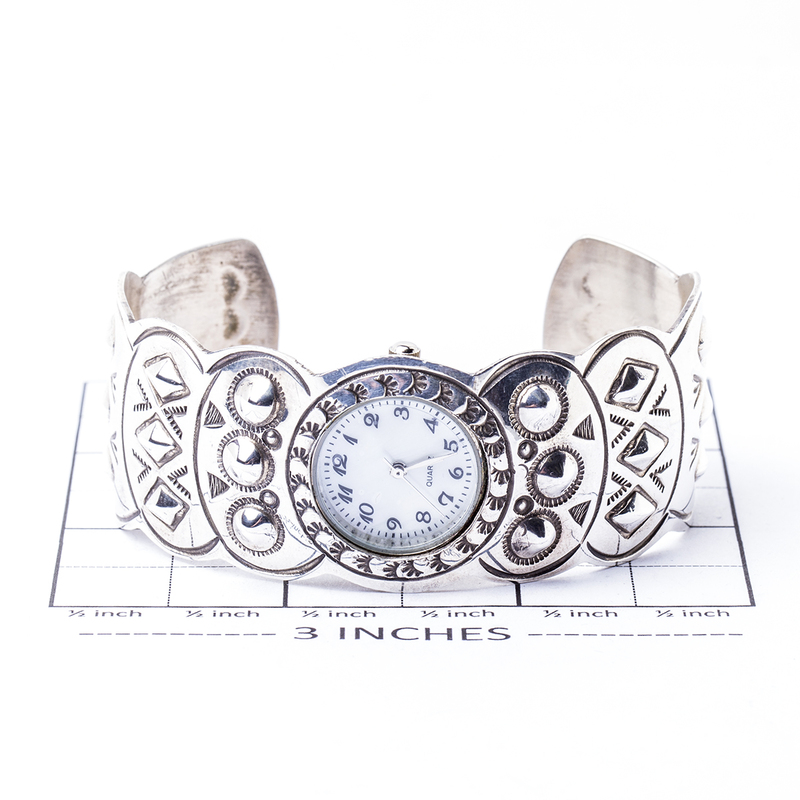 Navajo artist J Watch Cuff Bracelet showcases a finely crafted geometric designs of Sterling Silver to help keep time.